Join us at a weekly meeting! There will not be a Rotary meeting on Friday, April 19th. However, we still have plenty of opportunities to get together before next Friday! 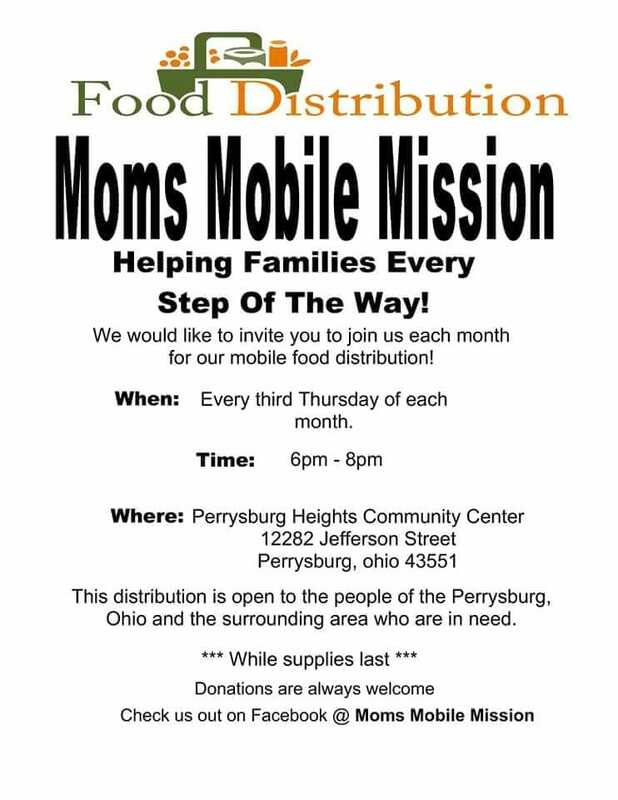 Join us this evening (April 18th) for the Monthly Moms Mobile Mission Food Distribution at the Perrysburg Heights Community Center. Mom's Mobile Mission- Monthly Food Distribution and Trunk or Treat Event is one of our newest community service events we are providing. Mom's Mobile Mission provides a food distribution every third Thursday of the month. If you would like to volunteer, you may come any time during the set-up or distribution times. You do not need to commit to both parts or the whole time frame. Rotarians, family members, and children are welcome to help. Please wear a Rotary shirt if possible. Still looking for a Rotary service project? 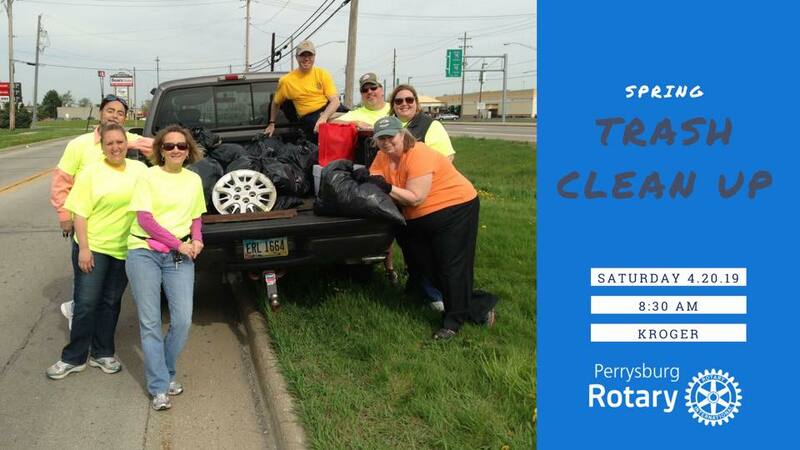 Join us Saturday, April 20th as we help the City of Perrysburg Spring Clean. In coordination with the City of Perrysburg and Partners for Clear Streams we will clean up the area near Kroger on Route 20. Meet in the parking area near the Kroger Fuel Station at 8:30 am. Gloves and bags will be provided but you may wish to bring your own gloves. Families and friends are welcome to volunteer at this event. To register for this event, click here. If you are still missing Rotary on Monday (April 22nd), stop by El Vaquero for our first Strategic Planning Focus Group. The ball is rolling on the next Perrysburg Rotary Strategic Plan. Now is your opportunity to take action and join in on one or more of the strategic planning focus groups being hosted over the next month. Click the link below to register for one or more of the dates listed!! If you have any questions about the upcoming sessions or need help registering, please email Alison Frye or Phil Bollin. 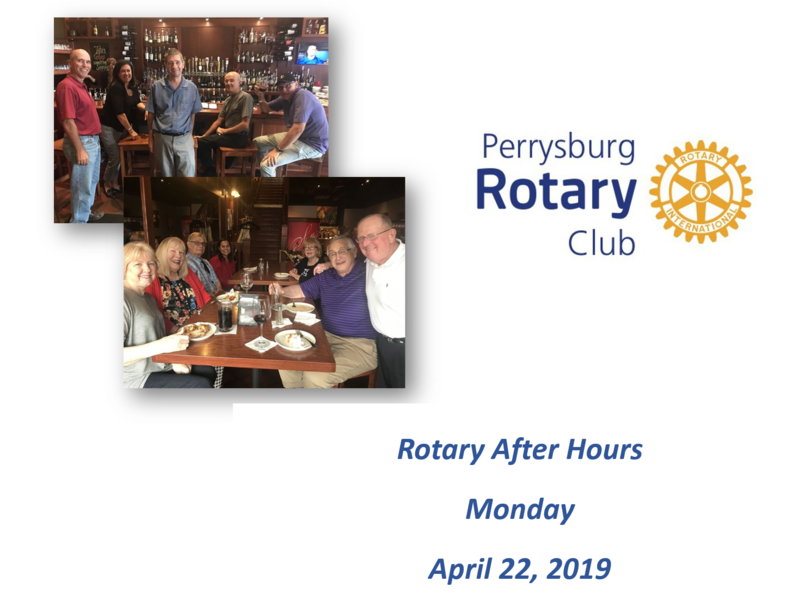 If you can't make the Rotary fun at lunch on Monday (April 22nd), stop by Stella's for our monthly Rotary After Hours! To round out our Monday (April 22nd) evening, you can join us at Bollin Wealth Management (842 W. South Boundary Street) for our Casino Night 2020 Planning Meeting! Perrysburg Rotary Casino Night planning is getting started early this year. All are welcome to attend, so bring your ideas and suggestions! 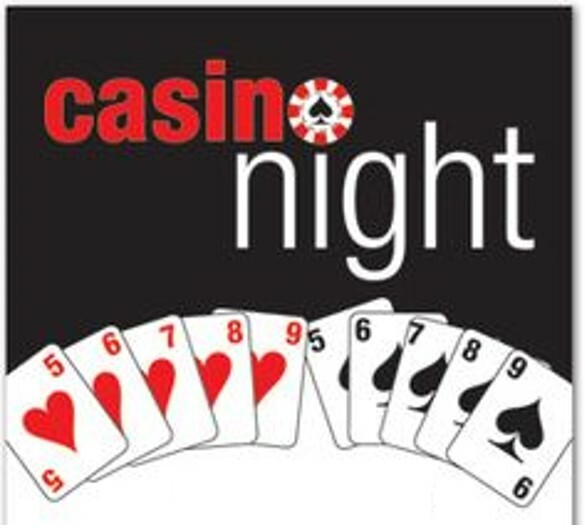 Save the date, Casino Night will be held on February 1, 2020! If you have any questions about any of the Rotary events in the next week, please contact Ashley Lopez. Lidia Ebersole, Attorney at Roetzel, has been proposed for membership by Sherina Ohanian and approved by the Board of Directors. 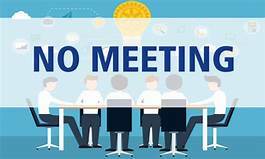 Barring an objection in writing from a member submitted to the club secretary (Wayne Koskinen) by Friday, April 19th, Ms. Ebersole will be inducted into membership upon payment of dues and attendance at a new member orientation session. Eric Stegman, Director of Development at Trisun Land Services, has been proposed for membership by Chet Welch and approved by the Board of Directors. 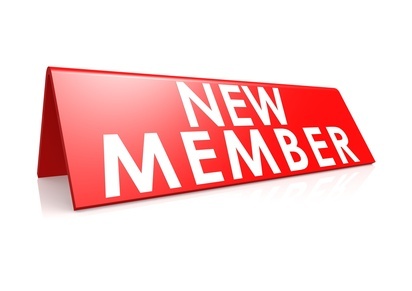 Barring an objection in writing from a member submitted to the club secretary (Wayne Koskinen) by Friday, April 19th, Mr. Stegman will be inducted into membership upon payment of dues and attendance at a new member orientation session. I think it is safe to say that the Perrysburg Rotary Fast Five Questions of the week are a crowd favorite. This week Rotarian Julie Waidelich-Roberts had the honor of taking the mic and sharing the one thing that everyone loves but she hates....even if it caught another Rotarian off guard. The District 6600 Conference will be held on May 10 - 12th at Kalahari Resort and Convention Center in Sandusky, Ohio. The conference is a great way to learn more about Rotary, connect with other Rotarians, and participate in Fellowship. If you are interested in attending all or part of the conference, click here to see the agenda and break out sessions. If you are considering attending the conference, there will be some funds available to help offset the cost of the conference. Please contact President Alison Frye for more information. ***If you are interested at staying at the resort during the conference, there is special Rotary District Conference Room Rate.